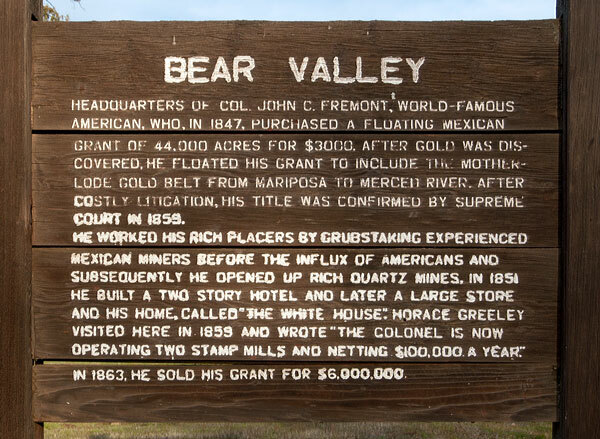 First called Johnsonville: Bear Valley had a population of 3,000 including Chinese, Cornish and Mexicans during 1850-60 when Col. John C Fremont's Pine Tree and Josephine mines were producing. 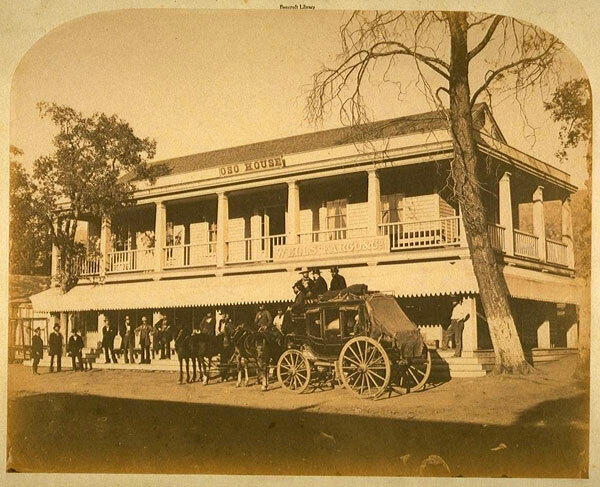 Fremont's elegant hotel "Oso House", built with lumber brought around the horn, no longer stands. After fire in 1888, structures were rebuilt. 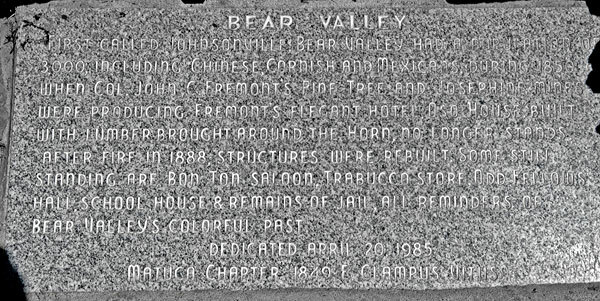 Some still standing are Bon Ton Saloon, Trabucco Store, Odd Fellows Hall, school house and remains of jail, all reminders of Bear Valley's colorful past. Headquarters of Col. John C. Fremont, world-famous American, who, in 1847, purchased a floating Mexican grant of 44,000 acres for $3000. 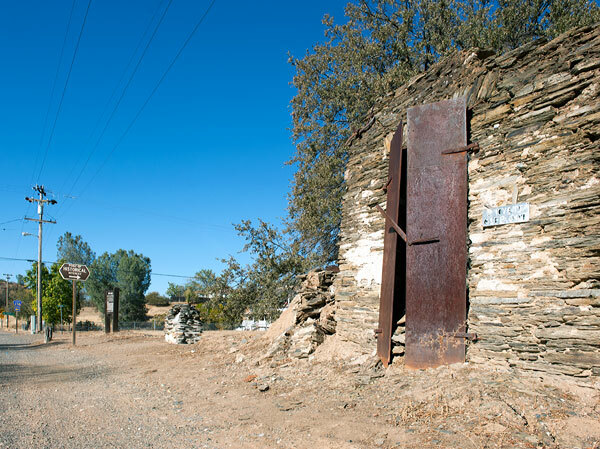 After gold was discovered, he floated his grant to include the Mother Lode gold belt from Mariposa to Merced River. After costly litigation, his title was confirmed by Supreme Court in 1859. He worked his rich placers by grubstaking experienced Mexican miners before the influx of Americans and subsequently he opened up rich quartz mines, in 1851. He built a two story hotel and later a large store and his home, called "The White House". Horace Greeley visited here in 1859 and wrote "The colonel is now operating two stamp mills and netting $100,000 a year". In 1863, he sold his grant for $6,000,000. Although we found a granite marker and a wooden marker, we were unable to locate a California commemorative plaque.